Join three greats to discuss the culinary history of our San Francisco Bay Area. Our food today evolved from weather conditions, Native Americans and immigrants to the Bay Area. The combination has produced the variety that local farmers and chefs have embraced. Join us with three Bay Area experts and moderator, Sophia Markoulakis, for an educational program. 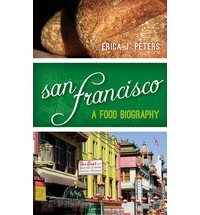 Erica Peters, who is new to California, has written a history of food in the SF Bay Area. Her book, San Francisco, A Food Biography, will be available. Mary Rose is a Bakers Dozen member who is knowledgeable about San Francisco food history and will share with us the sociology and culture of food. Alice Medrich (Cocolat founder) has studied, written and baked for over 30 years. She continues to follow the trends and then develops new and exciting, delicious and inventive desserts. 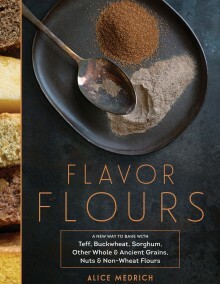 We will be able to purchase Alice's new book, Flavor Flours before its release date. Sophia Markoulakis, a freelance writer for the San Francisco Chronicle, will moderate the panel. Omnivore Books will be selling books! Alice Medrich’s honors include two James Beard Foundation Awards for Cookbook of the Year and IACP’s 2011 Best Baking Book award for Chewy Gooey Crispy Crunchy Melt-in-Your-Mouth Cookies. She received her formal training at the prestigious Ecole Lenôtre in France and is widely credited with introducing the chocolate truffle to the United States, when she began selling them at her influential dessert shop, Cocolat. She has since left the retail world, devoting much of her career to teaching and sharing her expansive knowledge about baking (check out her online baking courses at Craftsy.com). Alice’s new book, Flavor Flours, will be published by Artisan in November 2014. Connect with Alice on Facebook and Twitter: @AliceMedrich. Erica J. Peters, Ph.D., is the author of San Francisco: A Food Biography and Appetites and Aspirations in Vietnam: Food and Drink in the Long Nineteenth Century. She is a graduate of Harvard University with a degree in History and Literature, and her doctorate in history is from the University of Chicago. She has published numerous articles on the history of food and drink and has presented at conferences across the United States and abroad. In addition, she is the Director of the Culinary Historians of Northern California and an independent food historian. She is currently co-editing a collection of articles about food in French history. Mary Rose is a longtime San Franciscan who enjoys cooking and has written about food and restaurants for magazines in San Francisco and Los Angeles. She has studied and written about San Francisco food history and last year created a college level seminar on food culture and the sociology of food. Mary has eaten her way through 35 countries, once owned a gourmet cookware store and blogs about food for the Huffington Post. When not engaged in lifting a fork to her face, she loves Giants baseball, photography and collecting cookbooks.